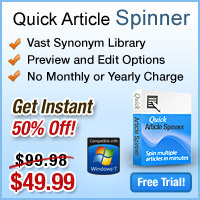 Description: Quick Article Pro is a leading company developing software for article writing, article submission and article spinning. 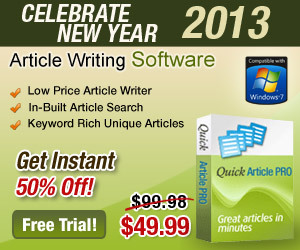 We aim at offering best article generation and submission solutions to all our small and big customers. Our software offer great functionality which is why it is being used by thousands of satisfied customers worldwide. Our software are largely used by software professionals, business personnel, writers, website designers and developers, publishing houses, educational institutes, and the list goes on. 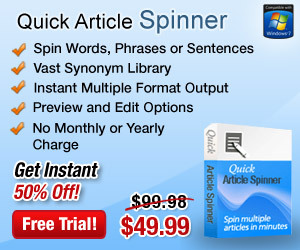 Our products include Quick Article Pro, Quick Article Submitter and Quick Article Spinner. 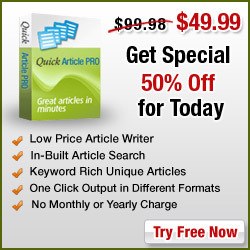 Quick Article Pro is a standalone program and has been developed keeping in mind the demand for a tool that offers accurate article generation quickly. 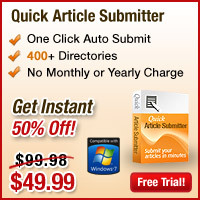 Quick Article Submitter is an article submission software that is used to submit articles to article directories. 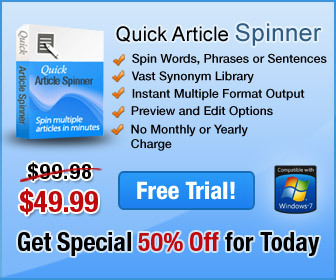 Quick Article Spinner is the latest technology based software that spins multiple articles out of a single article. 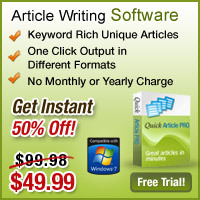 Welcome to Quick Article Pro affiliate program. 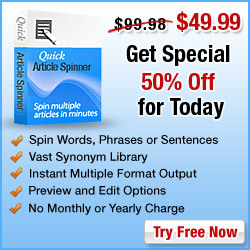 We are a leading company developing software for article writing, article submission and article spinning. 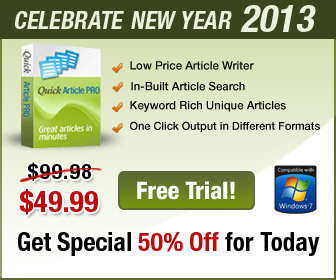 We aim at offering best article generation and submission solutions to all our small and big customers. Thanks a lot for showing your keenness in becoming a part of our affiliate program. 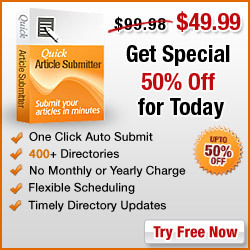 Our affiliate program is specifically designed keeping in mind the interest of our affiliates. We provide excellent remuneration packages to our affiliates, through good commissions. Also, we assist them in making their websites sellable and visually strong by providing them regular marketing and banner design updates. 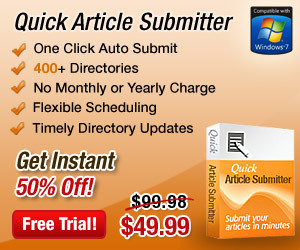 What the Quick Article Pro affiliate Program has to offer? •	We pay you 20% commission on all sales. •	Earn Commission for up to 90 return days for all visitors i.e. if the visitor decides to purchase within 90 days of their last visit from your website, you'll still earn commission on the sale! •	Our dedicated affiliate management team is available to assist you with any needs or requests you have, simply contact us with any questions. 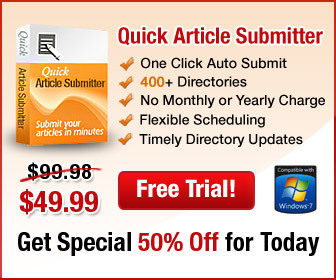 •	It is simple, quick, and easy to set up links on your Website. You just have to copy and paste!